The famous philosopher John Locke once published the idea that a person has the right to profit off of the fruits of their labor. This is only partially true. Once you have sold something, you hold no further rights to profit off of it. This is fairly obvious, but needs to be stated for context. An entrepreneur can sell one or both of two things: you can sell products, and you can sell services. If somebody decides to make shiny things and sell them, they have a right to profit off the fruit of that labor – but only up until the point where they sell the shiny things. Their ownership of the shiny thing, and their right to profit, ends the second the item is sold to somebody. Conversely, if somebody decides to sell their time in selling services, their right to profit ends the second they stop working for the person they have sold their time to. In geek terms, entrepreneurship is finding a value differential in society, constructing a conduit between the two endpoints and sticking a generator in the middle of the conduit. Profit ensues from the generator until the value differential has equalized to the point where the pressure is no longer sufficient to overcome the resistance of the generator, at which point the conduit stops working. This is how a free market works, and it is regarded as the foundation of our economy. However, copyright monopolists are trying their hardest to muddle this simple and fundamental principle, by claiming a continued kind of ownership even after something is sold. That’s not how a market works. That’s a monopoly. That’s harmful. That’s bad. We have indeed observed before how the copyright monopoly stands in direct opposition to property rights, sabotaging this foundation of our economy and the fundamentals of entrepreneurship. So for the sake of argument, let’s assume I am given a copy of the movie The Avengers by somebody. It is one of many copies. There are many ones like it, but this one is mine. It is my property in all its aspects. However, copyright monopolists would argue that they should continue to control my property. This is not just strange, but offensive. 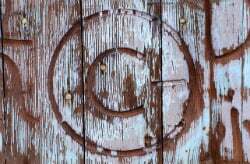 Even worse, when I do some labor on my own property, such as executing a “copy file” command on it, the copyright monopolists claim they should control that labor too – as well as the fruits of it. This is outrageous and has me fuming over their arrogance. When I manufacture another copy of The Avengers using my own property and my own labor, copyright monopolists somehow believe they have a right to the fruits of my labor. I find that idea offensive and insulting. It is true that the ease of my labor depends on many people having worked on other things before me. However, this is true with all entrepreneurship. My ability to copy a particular file depends not just on those who created the file, but also on those who invented electricity generators, the modern graphics card, the keyboard, wire insulation, storage media, networking protocols, and many, many other things. This is as ancient as Rome: entrepreneurship has always built on the already-performed work of others, and one set of previous such entrepreneurs do obviously not get any kind of special privileges on a functioning market. Anybody is free to create shiny things, but their ownership over the shiny thing stops the instant they sell it. That’s how a market works. Claiming control over the fruits of other people’s labor, such as when somebody makes a copy of a file using their own property, is deeply, deeply immoral. c There are 616 comments. Add yours?